I am both an amateur Jazz musician and an amateur classical musician. Normally I play Jazz with my saxophones and classical music on clarinet, oboe, bassoon or double bass. I also have a (rather limited) education on piano and guitar. I also write arrangements for small and large ensembles. My interests in classical music concentrate on composers from the "second line" - also called "Kleinmeister" in German - in baroque, classic and romantic period. For a German citizen rather unusual: in the age of 24 I switched over on clarinet from the German (Oehler) system to the French Boehm system and I never regretted that decision. With one exception (my C clarinet) all my clarinets are French Boehm clarinets among them a very rare Selmer Marchi clarinet. The MIDI and MP3 files that you find on my wind music and double bass pages have been prepared by me for training purposes - they are not meant to be artistic models! Normally they lack dynamics (piano, forte etc.) as the usual Midi devices (software or hardware) have totally different ideas how to render piano or forte passages: it seems that some Midi players work on a logarithmic base while others use a linear approach. Result: the dynamic information is often unusable! Double bass: the inscription says: an italian model (Torino) built in 1881. It is probably rather a Bohemian model from the end of the 19th century. This bass has a flat back. The MIDI files were prepared with the German notation software Capella. I use my own software HUMidi to play and enhance the MIDI files. This MIDI editor has some unique features. Hot House: a swing quintet (Saarbrücken, Germany). I play there saxophone and clarinet. You find here additional photos. Fischergass Jazzer (Aschaffenburg, Germany): old time jazz with 4 - 8 musicians. I play saxophone and occasionally piano or double bass. ASO orchestra (Germany, Switzerland, Austria): a symphonic orchestra with a mix of advanced amateurs and professionals. I play double bass or oboe. 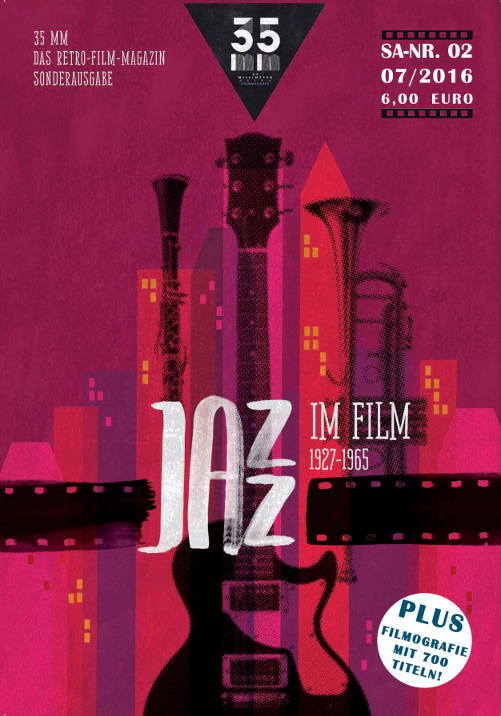 I have written with my brother Klaus a series of articles on "Jazz and cinema" that have been published by the German "35 mm. Das Retro Filmmagazin". An enhanced special edition of this series of articles is now available and can be ordered. You will find details under www.jazzimfilm.de.